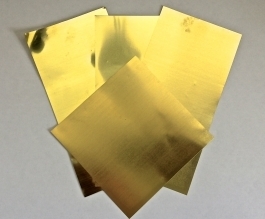 Brass shims are thin sheets of brass used for the maintenance and occasionally repair of fountain pens. They are soft enough to be used for flossing the nib slit of a fountain pen to remove paper fibers which are stuck between the tines. More experienced users can use them to widen the nib slit for an increased ink flow as well.